We live in an ever-evolving technology-driven era, impacting our everyday lives. The ‘millennials’ across various geo-demographics have the advantage of being in a technology-developing world. We are digitally equipped, right from gathering global information to networking, ordering food, shopping, and almost for everything. Owing to this massive transformation of the digital world, businesses have risen in terms of quality, quantity and scale. This form of technology has given birth to a proliferating industry called the fintech industry, a combination that allows technology to enhance financial services. 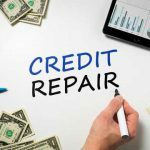 The industry looks to address the very basic credit requirements of a major chunk of the population. In the current scenario, banks generally take more than a week to process the entire loan application. This can be a long time for someone with an immediate requirement like a medical emergency. Banks have also seen an increase in the number of loan application rejections. Only the ones with a strong credit score, typically a 750 out of 900, are able to get loans. Furthermore, one also needs to be a good salaried individual, with approximately two years of quality corporate standing. Here, P2P lending platforms come as life savers. The eligibility criteria is simple with minimum salary requirements. These platforms understand the users’ financial needs far better, enabling loan approvals and disbursals within two-three working days. The rise of P2P lending worldwide is mainly due to people projecting low credit scores or reasons that are unusual for banks in funding. P2P lending platforms enable a majority of such individuals in getting quick and easy loans. It also acts as an innovative platform for investors to lend their surplus funds to borrowers for better returns. The geographical reach of a P2P lending platform is far superior, with the major differentiator being its online interface. Such digital financial services play an important role in supporting the objective of financial inclusion. Anybody, from the remotest areas, having access to internet, can be eligible to get/give a loan. Having said that, P2P lending platforms follow a stringent verification model. The traditional underwriting processes adopted, have evolved with technology, proving beneficial in reducing the default rate of borrowers. There is still a lot of scope of advancement in this direction, towards which few players have already started gearing up. In the age of digitisation where almost everyone has access to internet, such platforms have the potential to change the financial graph of a country. Although relatively young, the fintech market is undergoing a phase of rapid growth. It is forecasted to cross $2.4 billion by 2020, as per reports by KPMG India and Nasscom. A promising growth lies within the Indian market which can attain a size of $4-5 billion in the next five-six years. P2P lending as a technological invention sees an immense potential and will strive to restructure the financial sector and in turn bridge the widening financial gap. Moreover, the segment’s ability to use technology innovation to break geographical boundaries certainly will contribute to our goal as a nation for financial inclusion.